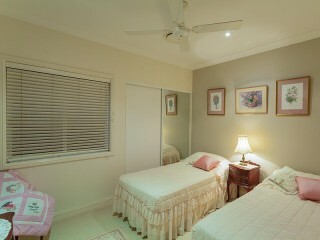 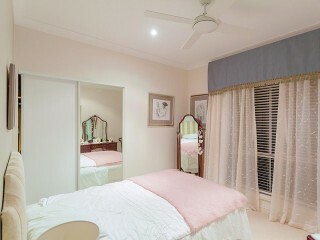 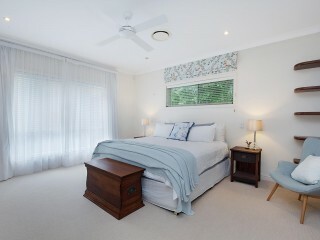 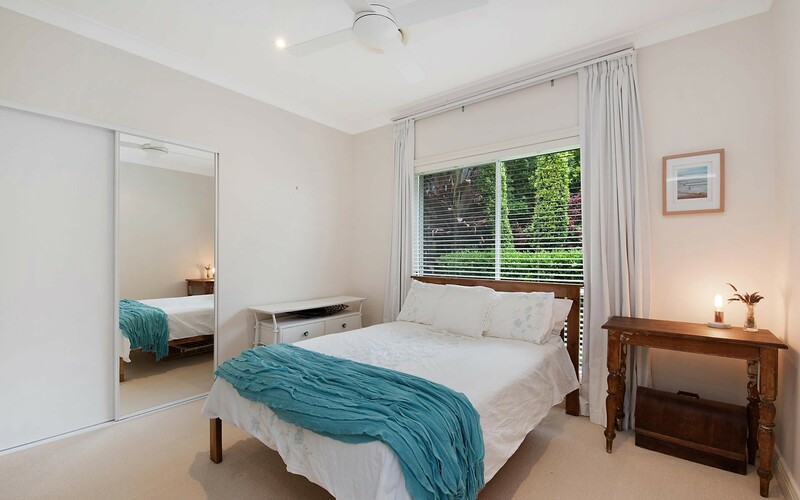 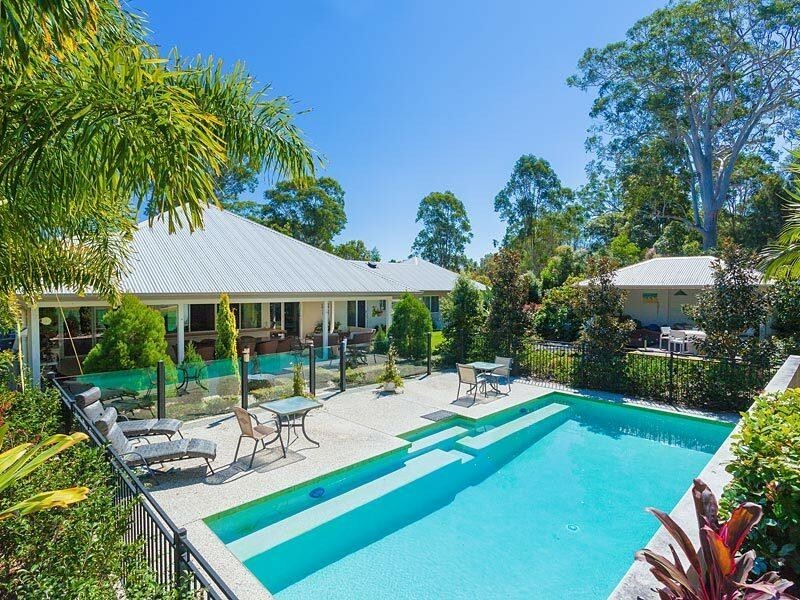 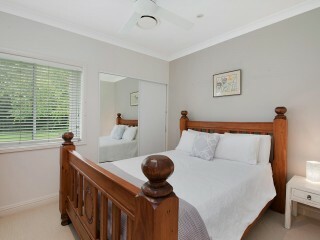 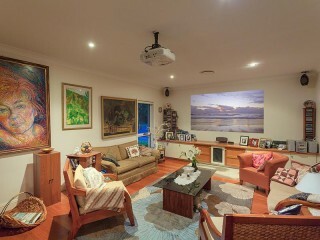 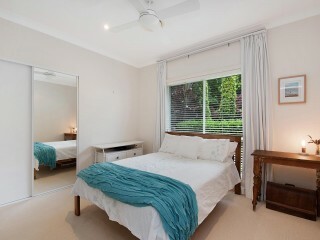 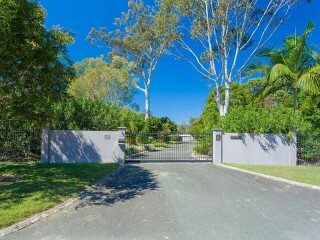 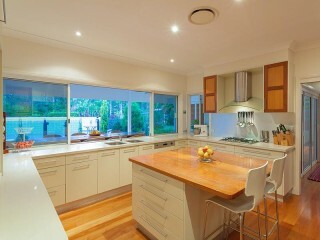 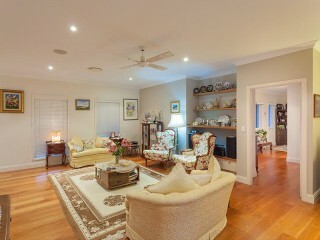 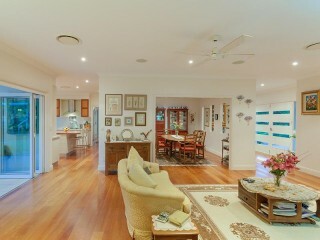 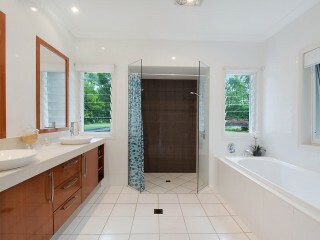 After a busy day enjoying Noosa's beaches, shopping and fun, you need a sanctuary to retreat to and unwind. 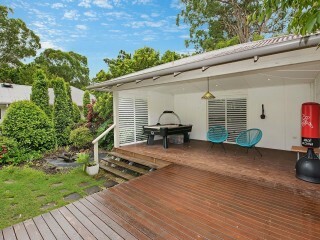 This is what it's all about living in our tropical Noosa Hinterland. 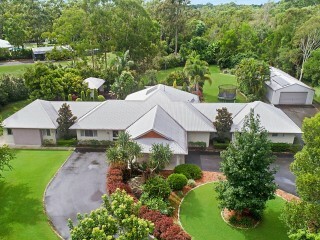 Private resort style home with everything you need right here. Only a short drive to Noosa Beaches and restaurants, but far enough away to relax and unwind. All in a perfect location and lovely neighbourhood. 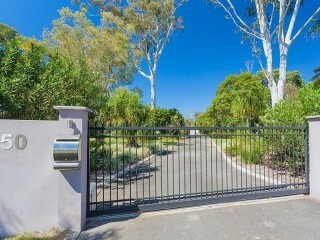 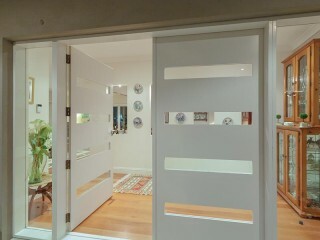 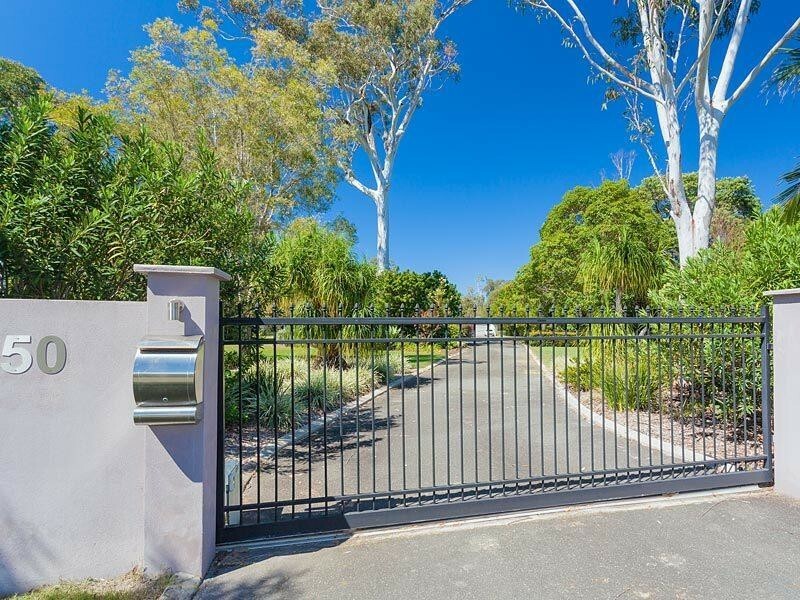 The security coded gate with audio visual intercom allows only permitted visitors along the long circular driveway to arrive under the Porte de cochere and welcoming front foyer. The entire landscaped grounds of generous and level 7582m2 is selectively gardened with edged lawns, trees and shrubs. The sealed driveway extends to the large 15m colourbond shed with workshop space and facilities. 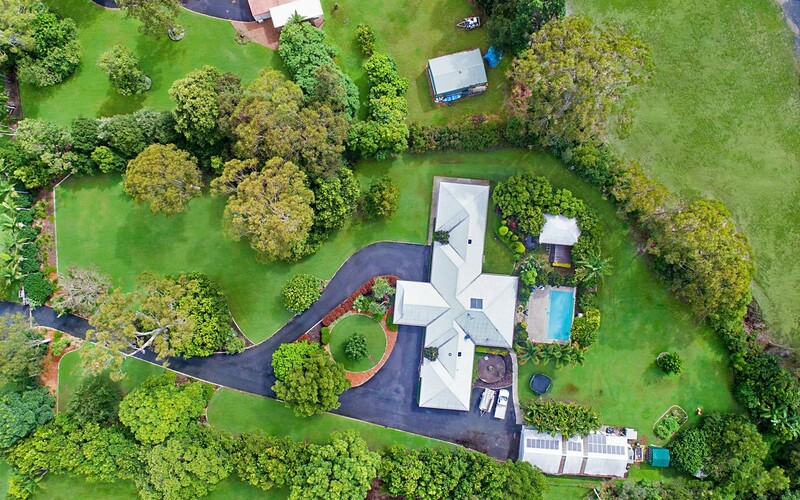 Utilities including solar panels and inverter plus automatic irrigation system are housed in the shed with electric roller doors and section at rear for more storage of boats etc. 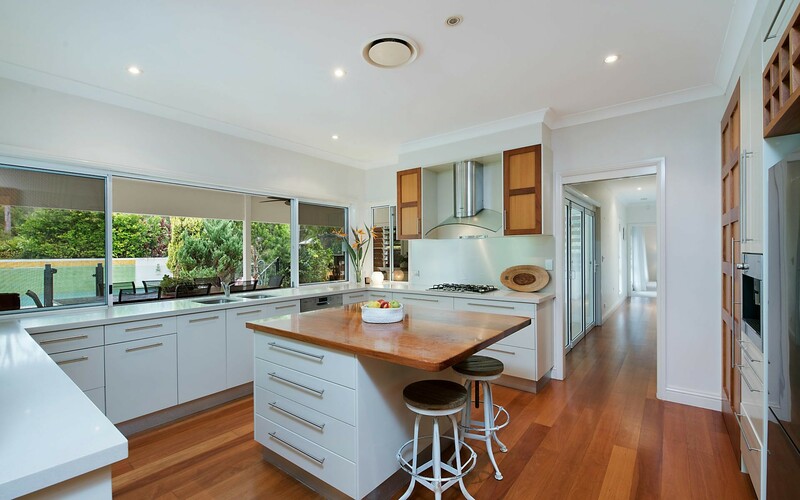 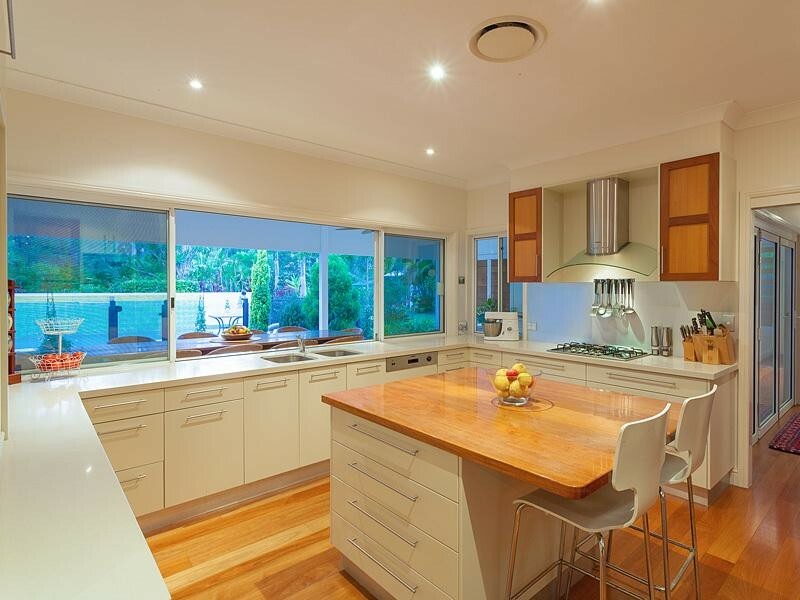 Upon stepping inside the home the inviting entrance leads onto the spacious living area, bordered by the formal dining room and chef's delight kitchen featuring all built in appliances, stone benchtops, and honey golden timber accents which complement the timber flooring beautifully. 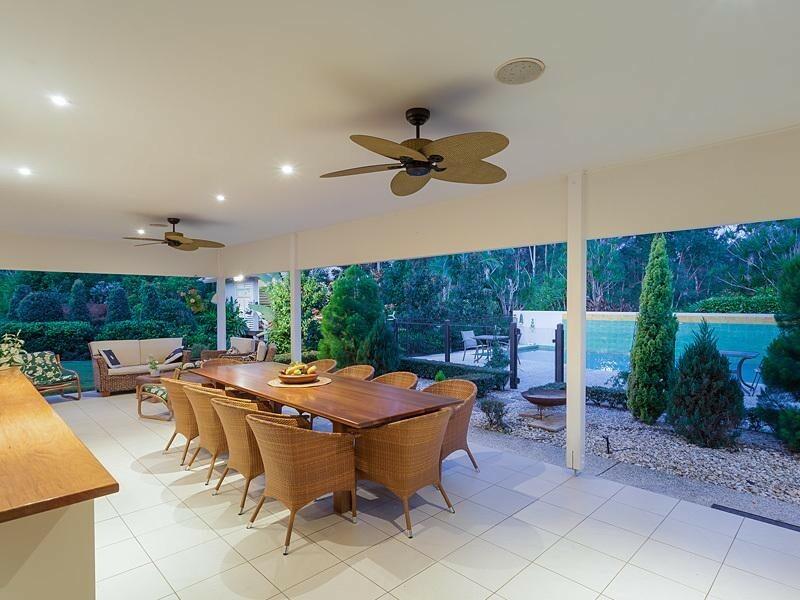 Entertain directly through the servery onto the rear deck dining, or enjoy the outdoor kitchen/BBQ area when catering for larger functions. 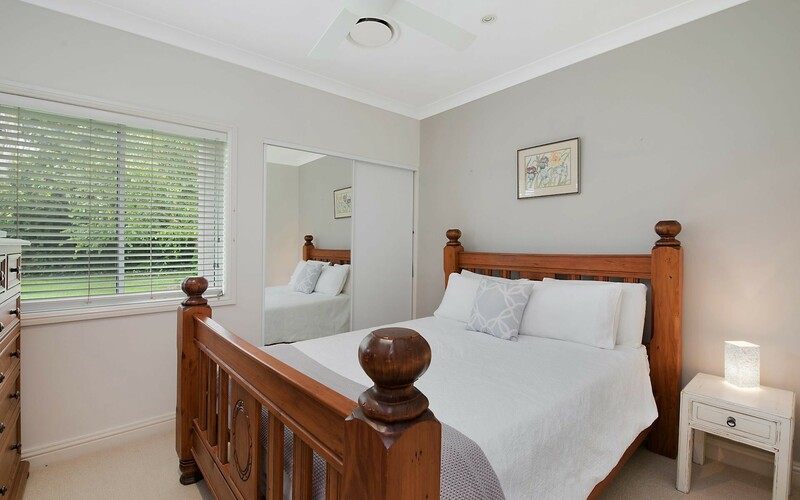 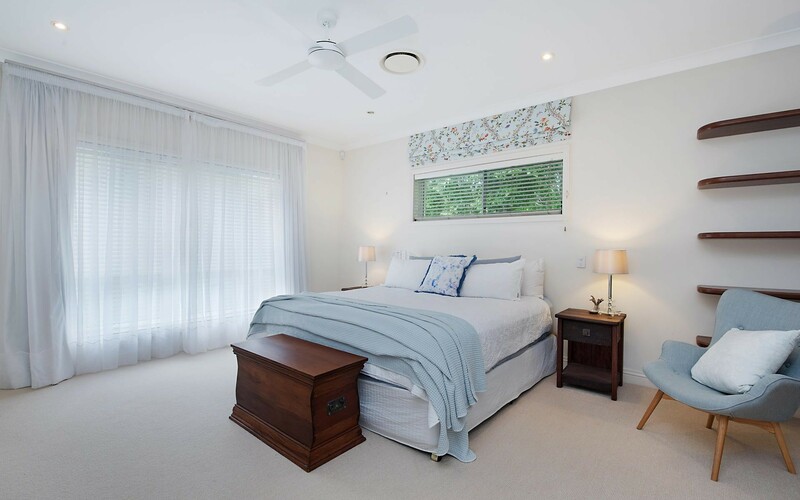 The Parent's retreat style master bedroom is on the Southern end of the home and offers a double ensuite plus separate his and her walk-in wardrobes. 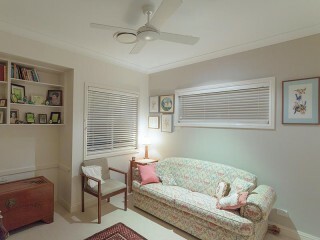 Near the main bedroom is a separate office which has plenty of space also including lovely built-in desk and shelves. 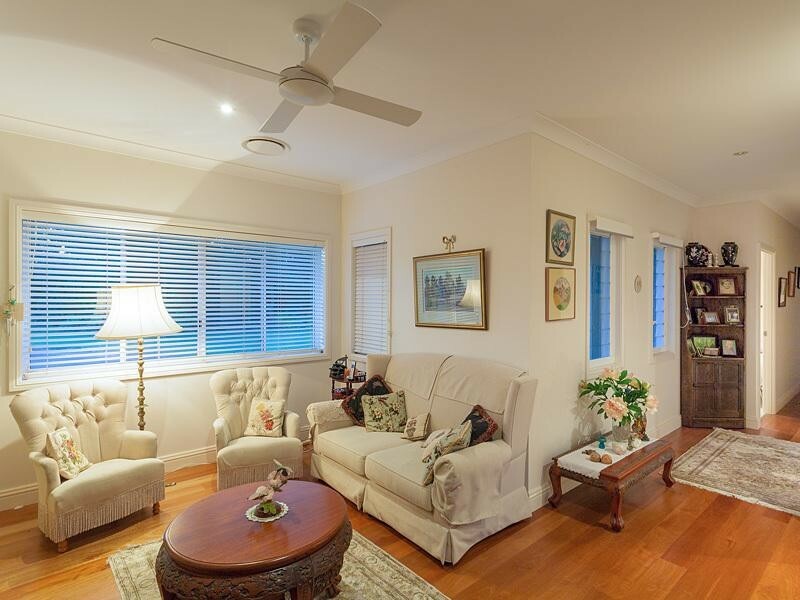 This entire home sports multi-zoned ducted air-conditioning for year round comfort. When it's time to enjoy the latest block buster movie or the grand final game, the media room makes an excellent home theatre with built in Sony surround sound and Epson high powered projector. 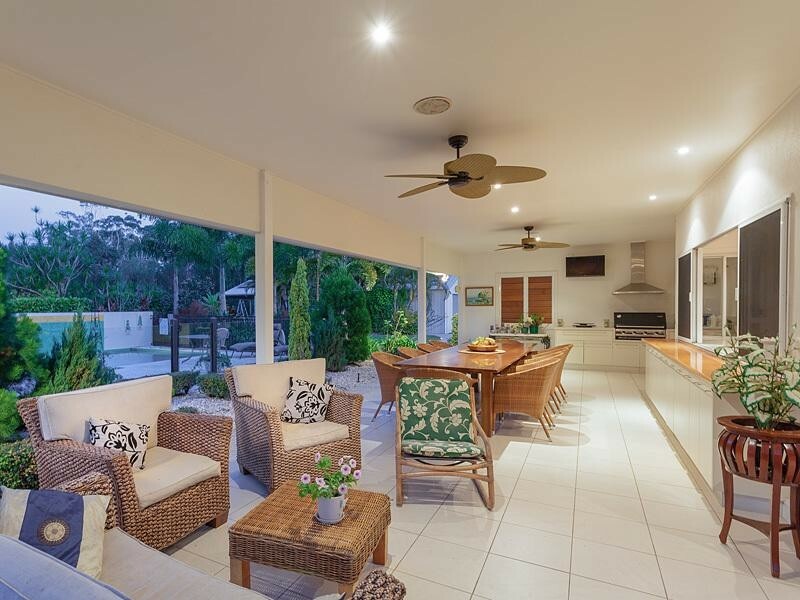 The whole screen can be seen from the outdoor kitchen area so you don't miss a thing, the sound is also hardwired to the entertaining area for your listening pleasure. 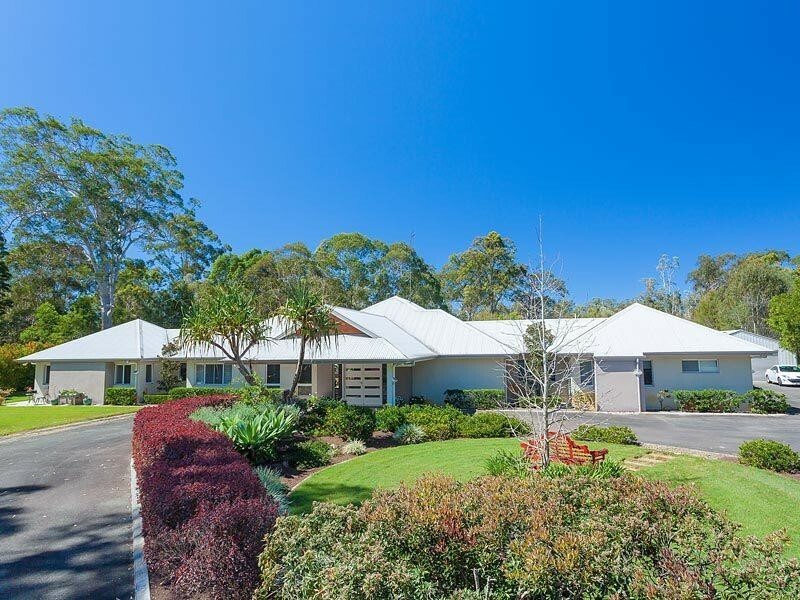 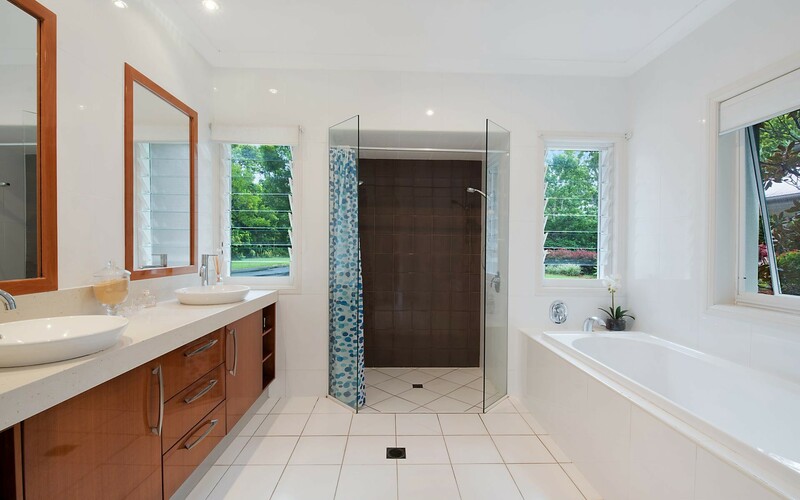 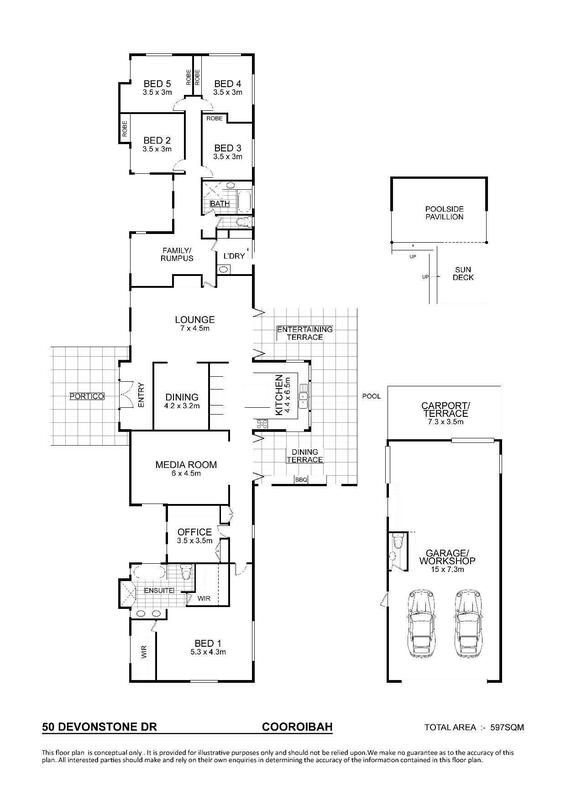 The other wing of the home is equally impressive with four more bedrooms all with built-ins and a lovely private lounge room with more top quality built in cabinetry. 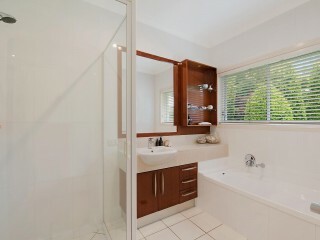 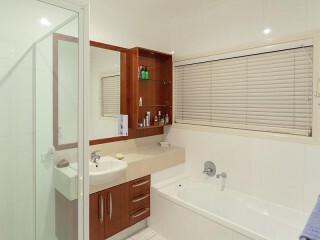 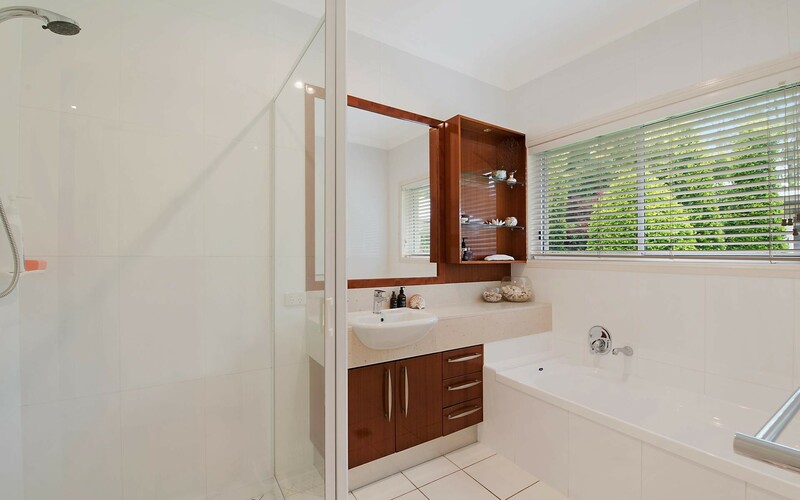 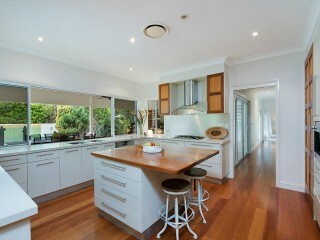 A spacious and functional laundry also has linen and laundry cupboards installed. The grande' feel of this home spills out onto the rear deck overlooking the tropical pool enclosure with safety glass approved fencing Let's retreat to the summer house and enjoy some shade and refreshments before we take another dip This external gazebo is ideal for exercising and home gym activities all undercover and still open to fresh air. 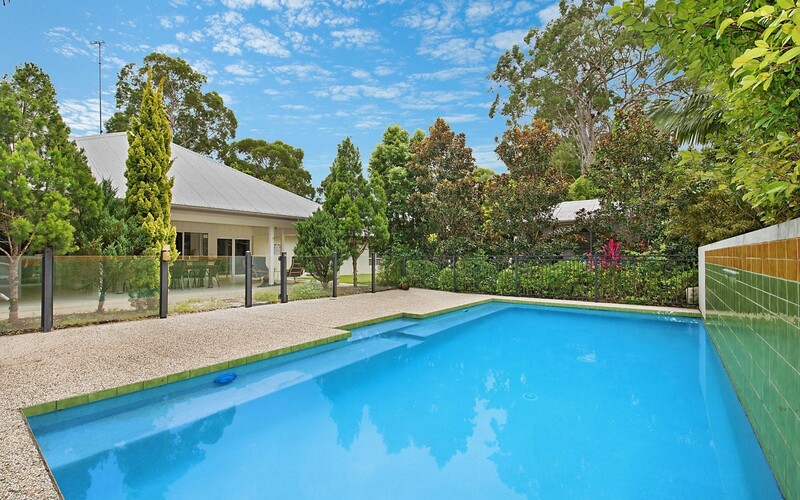 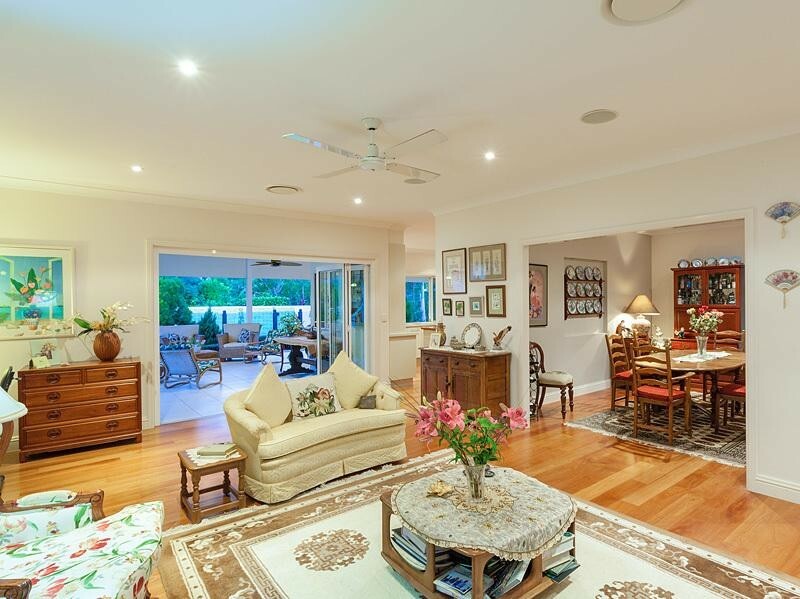 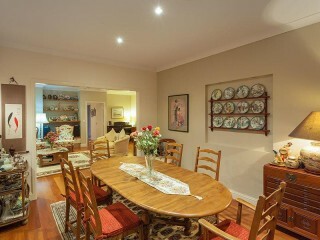 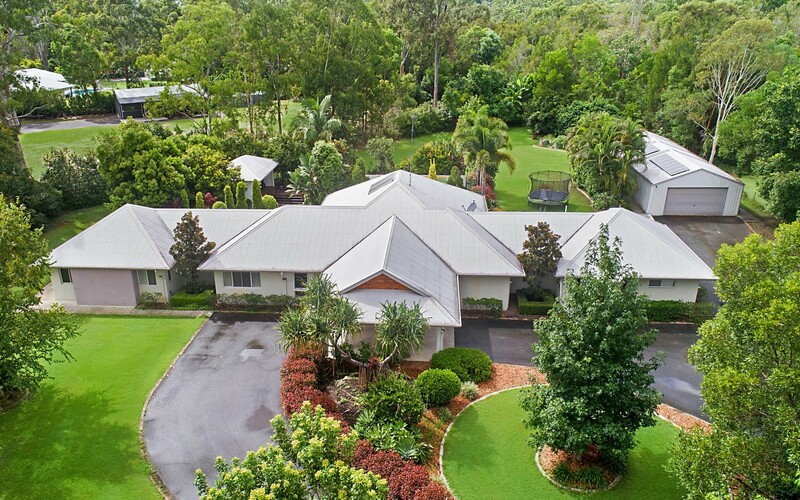 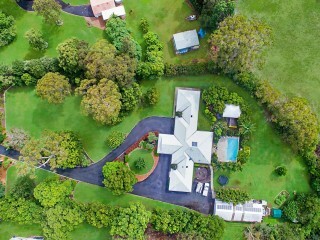 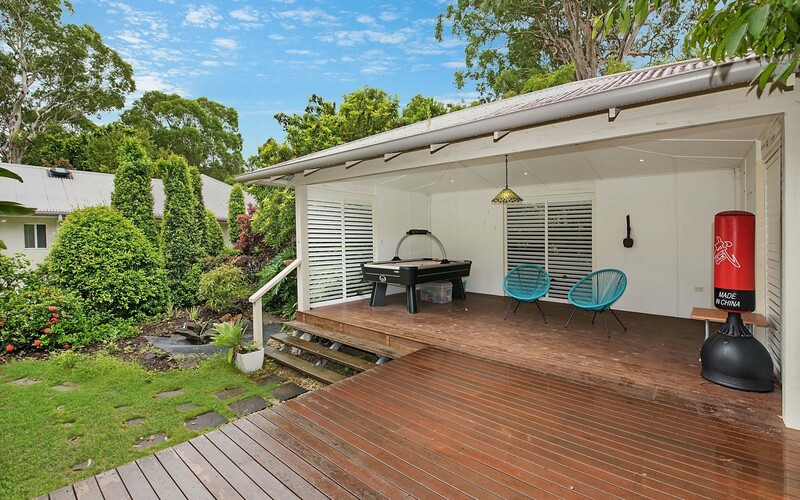 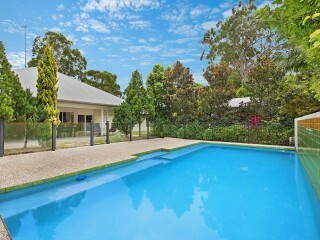 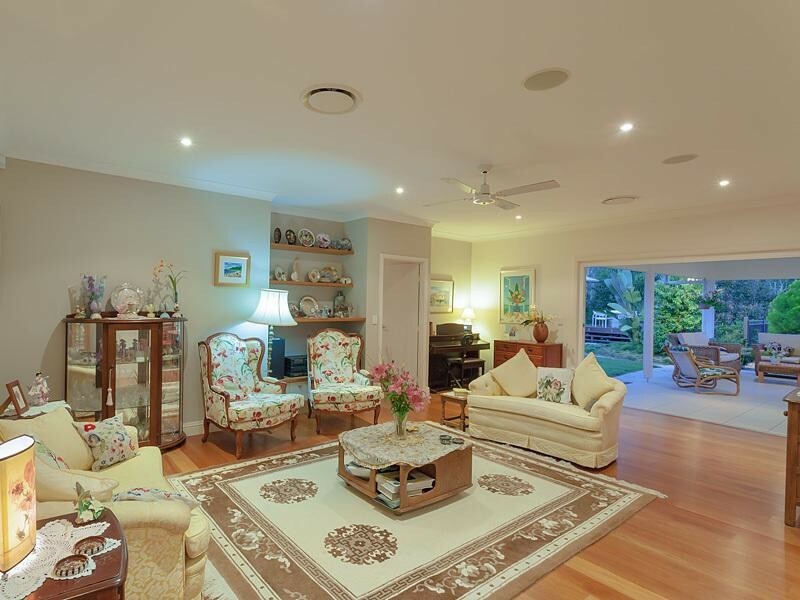 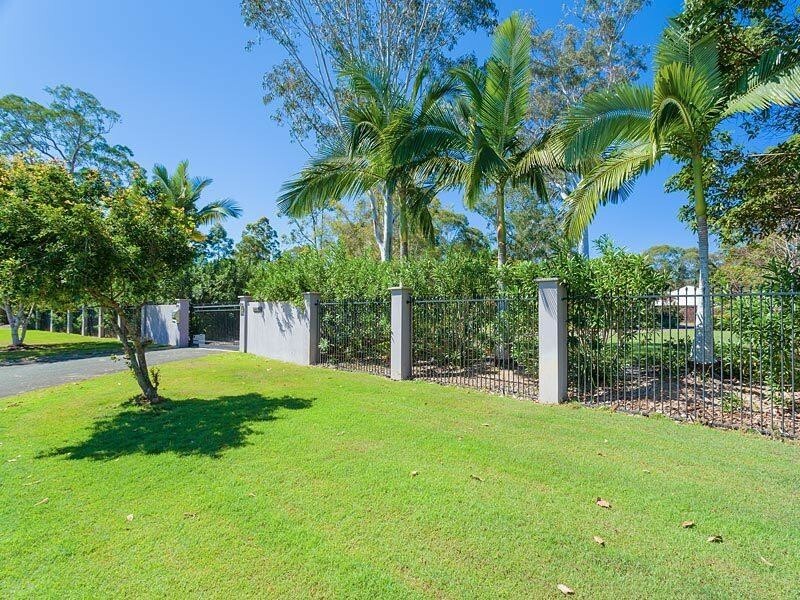 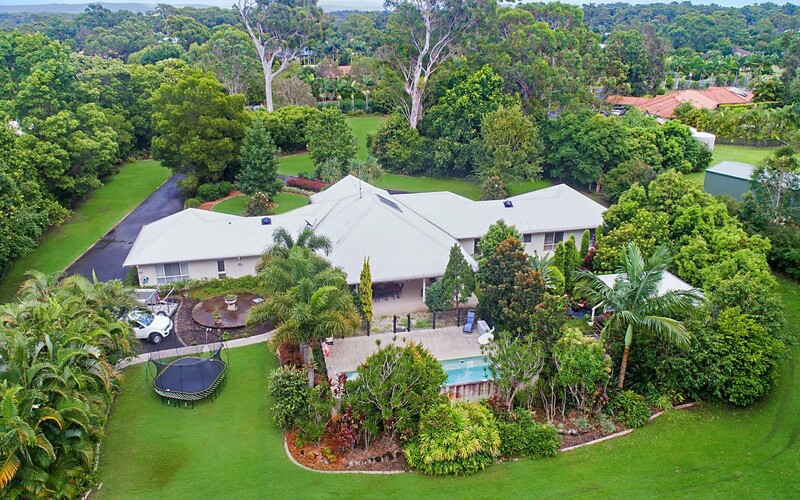 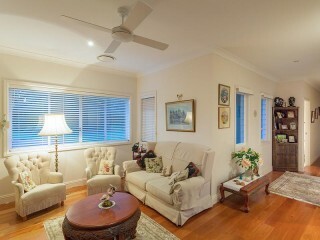 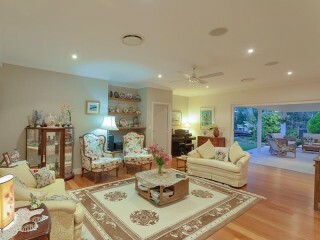 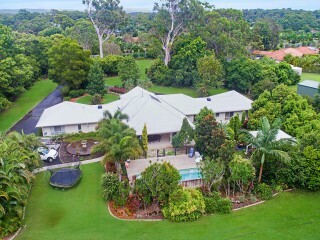 The grounds are park-like and easily maintained, this property offers the ultimate in privacy and comfort. 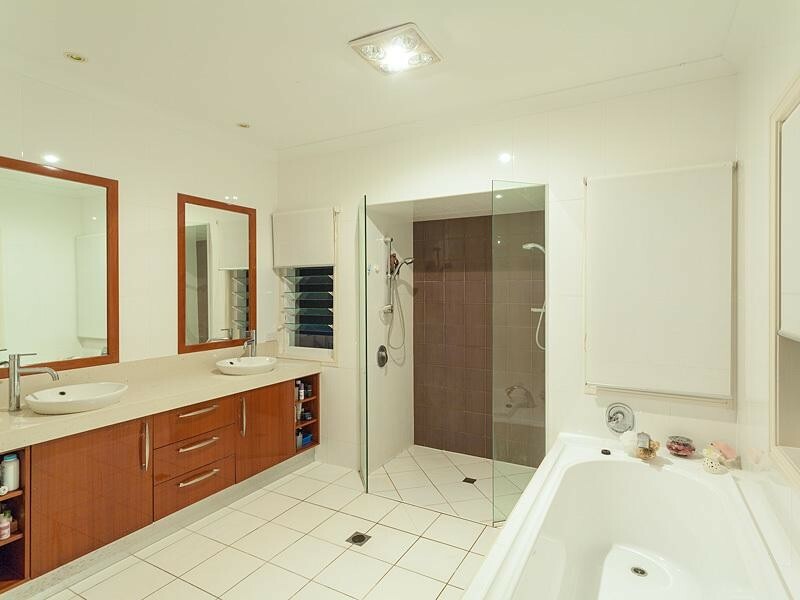 There are 2 large rainwater storage tanks, plus a water bore fitted with electric pump and 3rd tank for gardens etc. 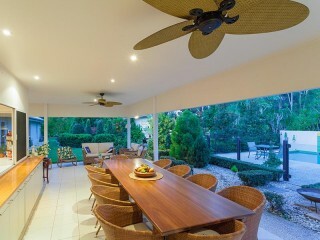 Some other garden items include an orchid house, 3 raised vegetable beds and mulching area. 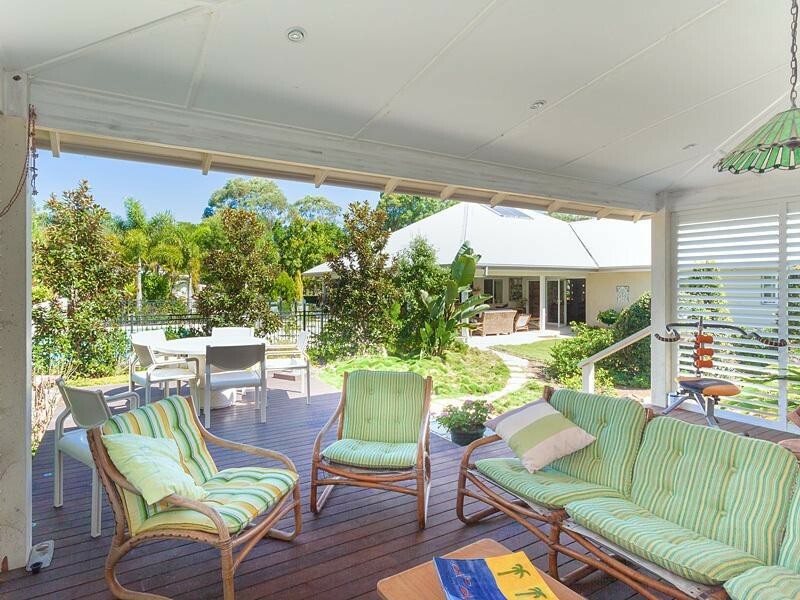 Being this close to Noosa's pristine beaches, eclectic shopping and fine restaurants you will be spoilt for choice. This truly is an enviable lifestyle, and there is no place better to enjoy it from.